A camp site along Waller Creek under the Seventh Street bridge. Angelica Cogliano, who represented Bowens in court today, argued that because the city doesn't have enough room at its emergency shelters, people who are homeless have no choice but to violate the law. She welcomed Solomon's decision to hear the case, as the city contended the case should be tried in a higher court, per state law. "The judge acknowledged how important this issue is," Cogliani said. "I think he's shown every indication he's going to review all of the law and all of the facts very seriously – and take this very seriously. And, honestly, that's the most we could ask at this point." 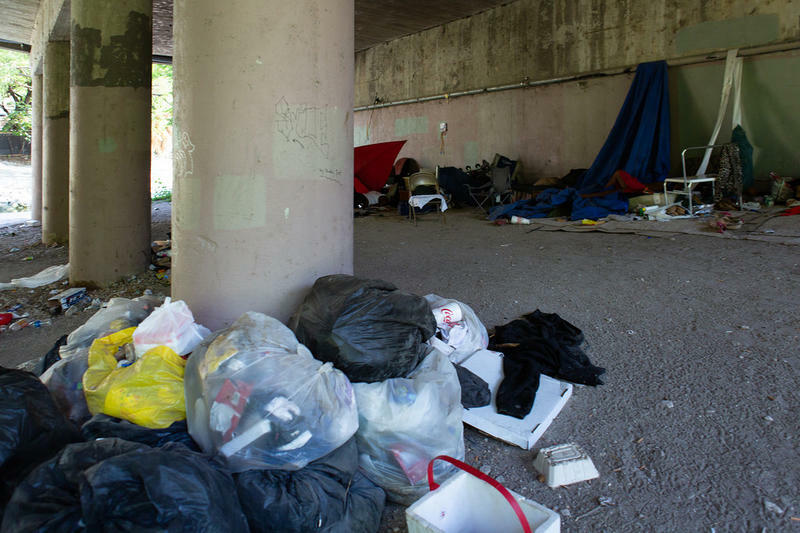 The city countered that it has the right to regulate public spaces and said the rules don't expressly target homeless people – merely explicit behaviors like storing personal belongings or using a camp or vehicle for shelter. 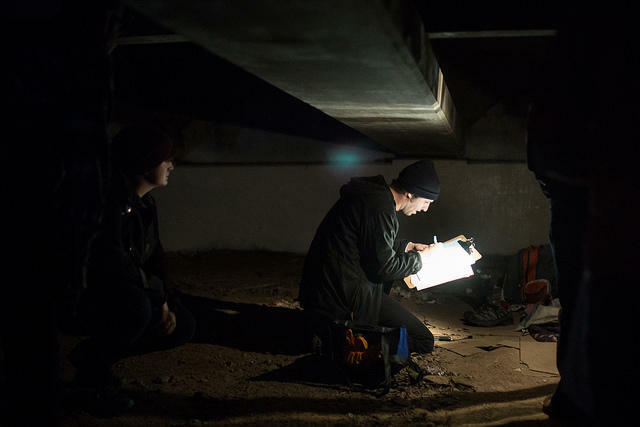 In a statement after the hearing, the city said it believes the camping ordinance – and two similar ones that prohibit panhandling and sitting or lying down on a sidewalk – are constitutional. The hearing comes nearly a month after a federal appeals court struck down a similar law in Boise, Idaho. 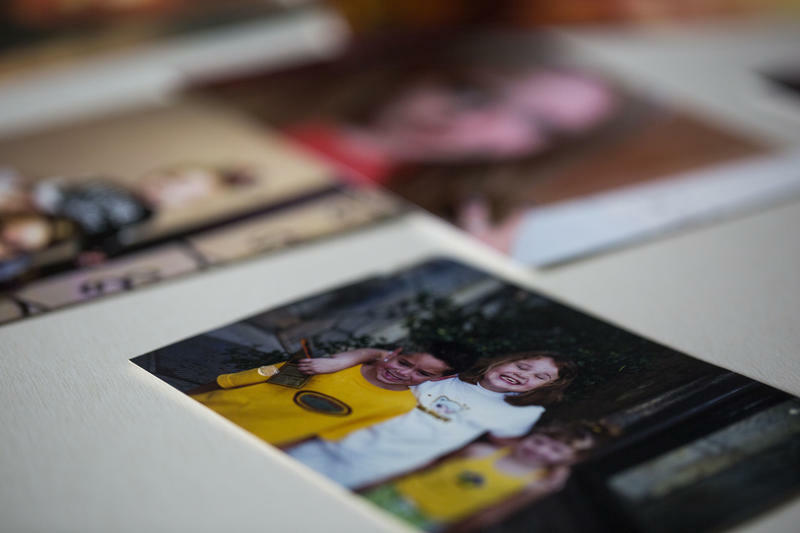 The City of Houston also faces a similar challenge from the ACLU of Texas. Homelessness advocates held a press conference ahead of the hearing to highlight a new study from Grassroots Leadership. In May, City Manager Spencer Cronk indicated his openness to revising the ordinances, but not after examining their "enforcement and effectiveness." 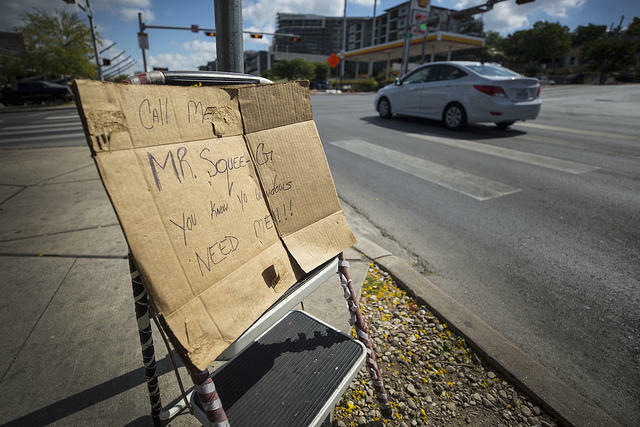 The Austin City Council intended to vote on a revision of the city's panhandling ordinance shortly before its summer break, but it was pulled from the agenda. Austin police have handed out more than 2,700 tickets for camping in the last three years, according to court records, with arrest warrants issued in three-quarters of the cases. 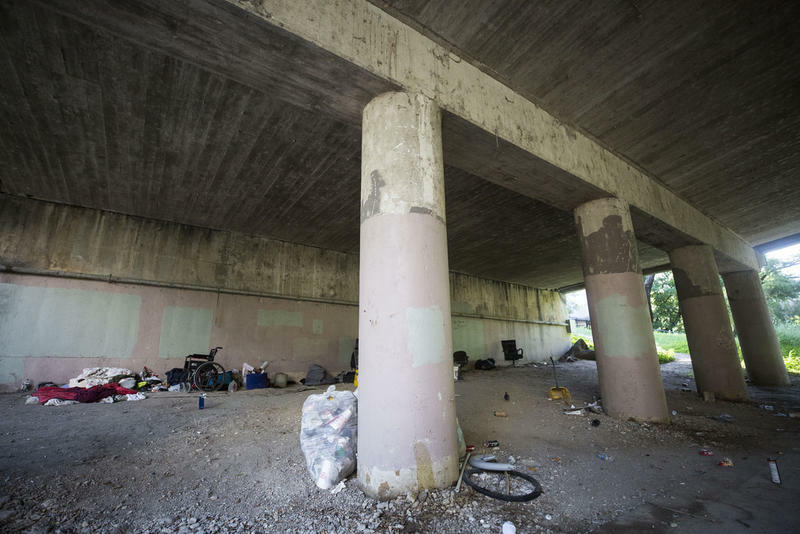 Last year, the City Auditor suggested that the ordinances create barriers to those trying to get out of homelessness.